In 1918, the MAFES South Mississippi Branch Experiment Station moved from McNeill to Poplarville on 95 acres donated by the county. Since its beginning, the station has worked closely with scientists in the USDA Agricultural Research Service. In the beginning, the station included a 20-cow dairy, and research on agricultural row-crops included corn, sorghum, wheat, soybean, and cotton. The station also conducted vegetable research and annually evaluated several garden favorites such as sweet corn, snap beans, southern peas, broccoli, cabbage, cauliflower, cucumbers, potatoes, watermelon, and greens. Sugar cane, a crop primarily grown in Louisiana and Florida, has been growing at the station since the mid-1980s. Three varieties are grown for syrup production and one as an old ‘chewing’ variety. The USDA moved from producing sugar cane for syrup to a crystal sugar at research units in Louisiana and Florida. However, MAFES research associate Scott Langlois kept the program going at Poplarville to meet the needs of the community. The station grows three acres of sugar cane and sells about 7,000-10,000 stalks annually. As the nursery industry began to grow in the region, ornamental horticulture research began at the station in the early 70s by Dr. Adolph “Sam” Laiche. The All-America Selections Variety Trials began in 2000. The All-America Selections includes a network of over 80 trial grounds all over North America where new, never-before-sold varieties are tested and evaluated by skilled, impartial judges. Only the best performers are declared AAS winners. Once announced as winners, plants are available for immediate sale and distribution. The station conducts three trials: ornamental seed trials, ornamental vegetative trials, and herbaceous perennial trials. 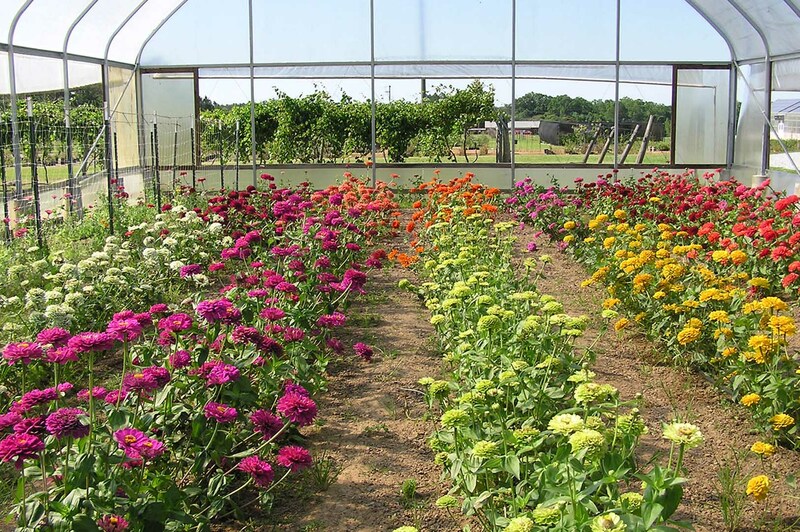 These trials are conducted for the All-America Selections, plus trials are conducted for commercial breeding companies, plant introduction companies, and nurseries. Annual trials include the ornamental seed trials and ornamental vegetative trials, which are grown from cuttings and planted in containers. The herbaceous perennial trials last three years. Altogether, nearly 200 plants are evaluated through the trails. 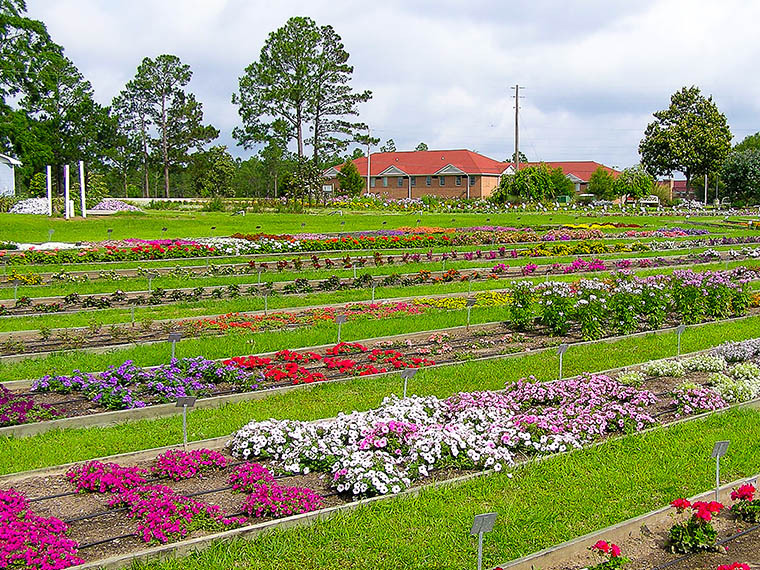 In 2012, the All-America Display Garden at the South Mississippi Branch Experiment Station was honored by the All-America Selections as the first place winner for gardens that have fewer than 10,000 visitors per year. The blueberry industry has benefited enormously from the work at the MAFES unit. When blueberry research began at the station in the 1970s, there were no commercial blueberry plantings in Mississippi, Alabama, Louisiana, or Texas. The research, conducted primarily by USDA-ARS, combined with the extension programming throughout the Gulf states, helped producers develop an industry with a significant economic impact in the region. Blueberries have become celebrated in Poplarville, with the annual Blueberry Jubilee occurring on the second Saturday in June of each year. In 2006, the USDA opened the Thad Cochran Southern Horticulture Laboratory in Poplarville to conduct research on small fruits, vegetables, and ornamental plants. The 15,000 square foot building includes laboratory space and greenhouses to house USDA Agricultural Research Service scientists and Mississippi State University scientists.